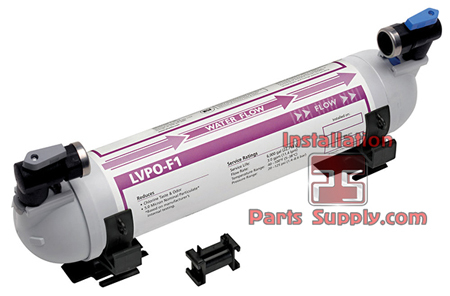 The Shurflo LVPO (Low Volume per Outlet) System is an in-line filter designed specifically for single dispensers which serve up to 1,000 gallons [3,785 L] of syrup per year.The filter housing’s quick connect ports and Shurlock™ valve fittings (color coded to identify inlet/outlet filter connections) allow for mounting the filter in any orientation while minimizingleak points and offering ease of serviceability. 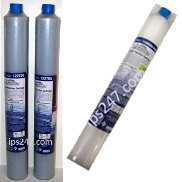 In summary, the LVPO’s superior performance, flexibility and serviceability make it a truly exceptional and unique in-line filter solution, eliminatingthe limitations of traditional filtration solutions used in fountain systems today. 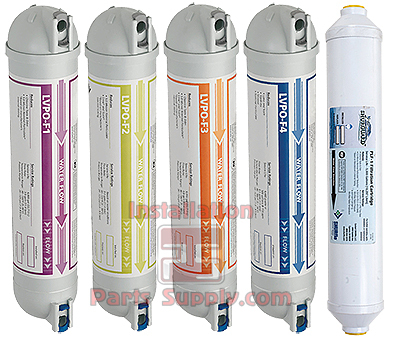 For use in the following MF systems: MOD-10422, MOD-20422, MOD-30422, MOD-40422, ECO-10422, ECO-20422, ECO-30422, ECO-40422.